Pedro Rojas is executive editor of La Opinión and a member of the company’s executive committee. Rojas also oversees the daily’s Web page, which is one of the main content generators for the holding company ImpreMedia’s portal site. He’s a seasoned journalist with more than 30 years experience in the newspaper business, the last 12 in upper management. From 2004 to 2005, Rojas served as executive editor at El Diario/La Prensa. In the last three years, La Opinión’s journalists have received numerous awards from NAHP, NAHJ, NAM and others, including the @ Award for the best Spanish Web page in 2007. 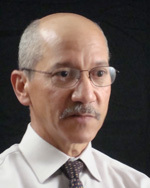 Before joining La Opinión in 2003, Rojas worked at El Nuevo Dia for 27 years, in San Juan, Puerto Rico, the last six as managing editor. Out of curiosity Pedro Rojas says he decided to attend the immigration rally in Los Angeles on May 1, 2006. He encountered hundreds of thousands of people, filling the streets of L.A. Only one La Opinión reporter and two photographers s were assigned to attend, but six reporters and four photographers showed up on their own. The newspaper knocked out a pre-printed section and replaced it with the story of the event. Rojas was moved by his staff’s initiative. “It was a testament to what we do,” says Rojas.